So you think you want to teach children to cook? 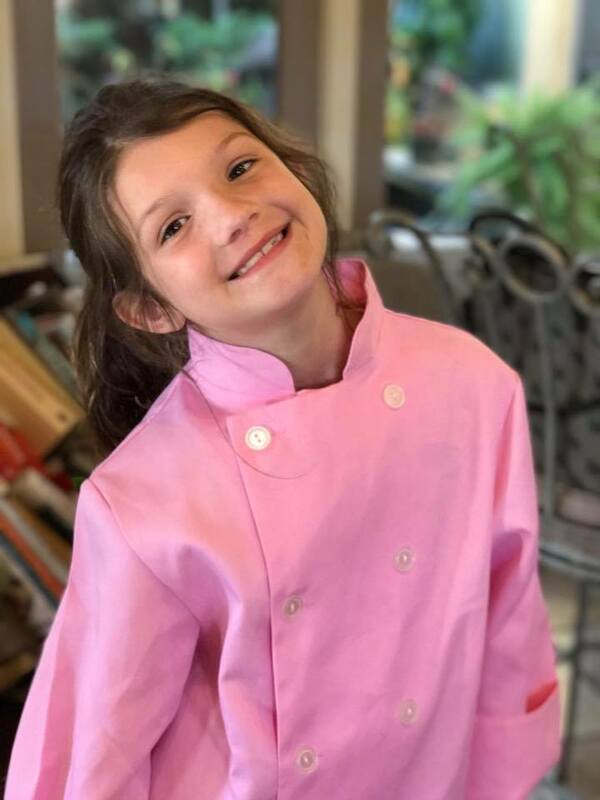 Armed with years of reading any and every cookbook I could grab onto, spending forever reading through online recipes and cooking sites, wearing out my remote flipping through TV cooking channels, not to mention attending Le Cordon Bleu Culinary Academy, I thought I was ready to tackle 8 – 10 year olds and help them cook, ha! I advertised locally and signed up four little ladies for my first class. Exciting! Nervous anticipation, I prepped and over-prepped. Printed out cute diagrams to help explain measurements. Thought we would start out easy with salsa and granola. Typed up “Kitchen Safety Rules”. “Safe Knife Handling” printouts. Made fruit punch and had snack prepared. Ok, Chef, they are nine year olds, you should not be so nervous, I kept repeating to myself. Intros, nervous giggles from all of us. Getting easier. Until, I ask, what do you look forward to making during our classes? Rapid fire responses! “Something International!”, “Croissants!” “Something Flambé” “Something with unique ingredients” Gulp! How old are these little ladies? Suddenly, looking down at my Mr. Gallon printout, I knew why I right to be so nervous. Why was I the only one with the nervous giggles now? A few deep breathes later, I remembered how I felt my first few days at Le Cordon Bleu, my amazement and wonder and anticipation of what I could and would learn, and how I wanted it all on the first day too. Stick to your game plan Chef, you’ve got this! And I did. And we did. And it was the best first day of work I have ever had. Prepping for Week 2 as we, oops I am supposed to be prepping!